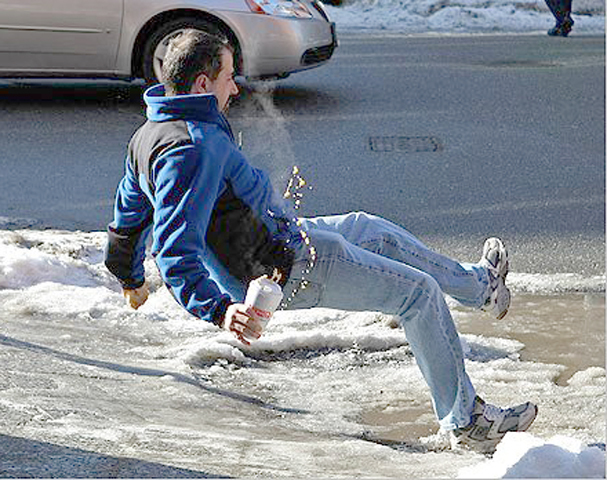 Experienced Slip and Fall Attorneys - Reed Law Firm, P.L.L.C. If you have been injured in an accident on someone else’s property, you may be able to obtain compensation with the help of a skilled personal injury lawyer. Property and business owners have a legal obligation to keep their premises safely maintained and free from hazards for the protection of their guests and visitors. If their negligence results in someone else’s injury, they can be held accountable for any financial ramifications of the accident. To pursue a personal injury claim, and get the compensation you deserve, contact The Reed Law Firm as soon as possible at 703-530-8810. Do I Need a Slip and Fall Attorney? If you are injured on someone else’s poorly maintained property, you are entitled to compensation for your injuries. This compensation can cover associated expenses such as medical bills, rehabilitation, and lost wages for time off work. You also have the right to seek recovery from non-economic damages, including pain and suffering. It is our experience that most insurance companies will attempt to settle your claim for far less than it is worth. By hiring an experienced slip and fall attorney, you can force the negligent property owner, and his or her insurer, to give you the full compensation you deserve. In Virginia, every homeowner and business owner is responsible for proper maintenance of their premises. If a person is injured as a result of hazards on negligently maintained property, the owner or owners of that property can be held liable for any damages related to the accident. Poor lighting, broken stairs or handrails, and obstructed or slippery walkways can all cause dangerous slip and fall accidents. Injuries from a slip or a fall can range from sprains and broken bones, to traumatic brain injury and even death. The Reed Law Firm is committed to zealously representing you to obtain an optimum result, and working diligently to obtain a settlement or judgment that will maximize your recovery. Sustaining serious injury in a premises liability accident can bring enormous physical pain and financial stress. Prolonged treatment, and extended recovery, can lead to quickly mounting medical expenses. Severe injuries may limit your ability to work and maintain financial security for yourself and your family. Hiring a slip and fall lawyer is your first step to recovery. The attorneys of the Reed Law Firm have the dedication, experience, and resources to successfully pursue your personal injury claim against those responsible for your accident and injuries. The accident attorneys with The Reed Law Firm offer free consultations to those who have been injured in a slip and fall accident, or other premises liability accident. To speak with an attorney about your case, call (703) 530-8810.